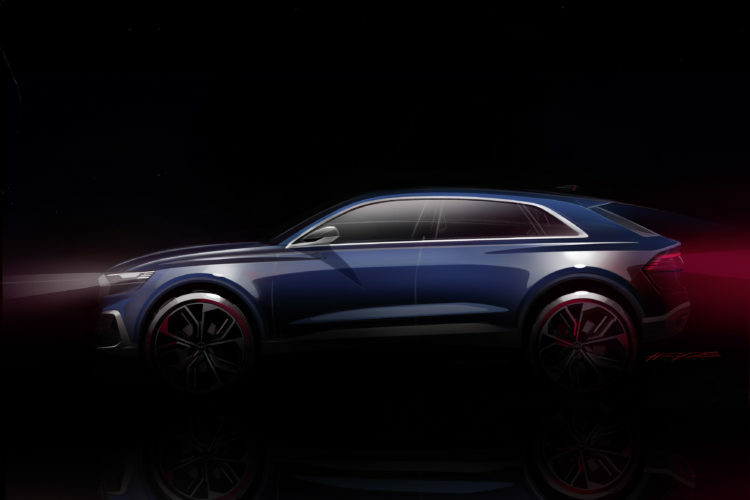 We recently learned of Audi’s upcoming debut for the Q8 Concept SUV next month in Detroit. The Audi Q8 will serve as the brand’s flagship SUV and possibly even overall flagship vehicle. It will have Ingolstadt’s best technology and the most luxury the brand has to offer. So, naturally, we’re excited about it. However, Audi isn’t the only one bringing a large, three-row, techno-luxury packed SUV, as BMW is in the process of developing an X7 SUV. Both mammoth SUVs will be their brand’s respective luxury and technology flagships, packing the best of what each brand has to offer. And while we don’t have any official information on either, let’s speculate as to how they will stack up. Just for fun. We know that the Audi Q8 will be more geared toward technology, with Audi’s latest autonomous driving tech and likely some of the cool stuff featured in the Audi SQ7 TDI. If the latter is the case, then the Audi Q8 will use an electric turbocharger (or EPC as Audi calls it), an active anti-roll bar system and a 48-volt electrical subsystem, powered by a lithium-ion battery in the trunk, which will power the latter two systems. It would also likely pack the same sort of luxury equipment as the upcoming Audi A8. For the BMW X7, we know that it will be built on BMW’s CLAR (Cluster Architecture) Platform, which underpins the BMW 7 Series and new 5 Series. That means it will likely have much of the same technology and luxury as the 7 Series, which is impressive considering that the 7 Series is one of the better luxury cars on the market. While powertrains and equipment are not officially known, though it will almost certainly use BMW’s typical suite of engines, we do know that there will be an extra trim level. BMW is looking to offer an ultra-luxury variant of the X7, something to compete with the Bentley Bentayga. This could possibly take on the Audi SQ7 TDI, depending on if BMW focuses more on luxury or performance. Audi and BMW have been good rivals for a few decades now, with cars like the A4 and 3 Series going head-to-head with each new iteration. So, while we don’t know exactly what will be made of these two colossal SUVs, we can expect a fun battle between two German Giants. 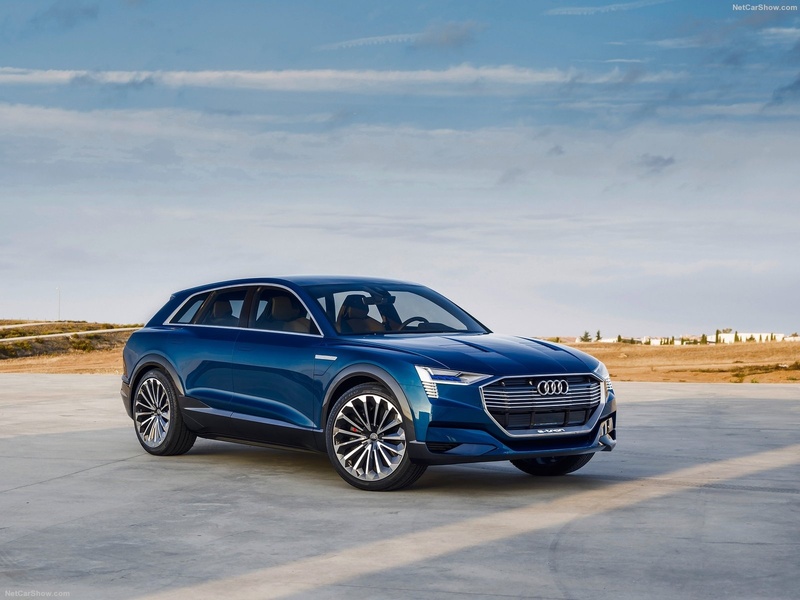 It is possible, but Audi announced a little while back that the e-tron Quattro Concept would be simply called the “Audi e-tron” but they might have changed the plans. Last we read, the Q8 would sit above the Q7. At this point in time it’s neck-and-neck for which car has the worst rear visibility. Not cars & since their drivers never look behind them visibility is irrelevant. X6 does not differentiate enough from X5. It created a whole new segment, where do you think the GLE & X4 came from? I did not say the GLE Coupe /GLC Coupe /X4 differentiated enough from GLE SUV/GLC SUV/X3. It is not my fault that ignorant people see a difference between standard SUVs and so called coupe SUVs., when the only difference is sheetmetal. And the huge profits that different sheetmetal proffers their manufacturers. Also, those ignorant people? They’re called customers. Or voters. Are you speaking ‘performance’ differences, or are you talking about something else? If you’re talking about handling, feature and package availability, drive trains, mileage and such, then yes, they’re not particularly different. They’re certainly not really a different ‘class’ of vehicle. They’re a ‘shape’ variant. That being said, it would be ridiculous to suggest that an X5 and X6 are the same. There are significant differences in actual useful dimensional load capacity — the X5 payload is significantly higher than the X6. The X5 can be configured to seat 7, which is not possible in the X6. The rear visibility in the X6 is worse. Basically, the X6 provides the X5 drive train, features and packages in a sedan format (if it were truly a coupe, it would be a two-door) — which while it leaves me wondering *why* it appeals to much of anyone, is indeed, in and of itself a significant difference. Saying that it doesn’t differentiate ‘enough’ is no different than saying a pickup truck and an SUV don’t differentiate ‘enough’ ‘except for some sheet metal’. ‘Enough’ for what? ‘Enough’ in what way?